"Has anyone ever told you that you remind them of Woody Allen?" This is a question I've gotten a lot in my life. The answer is yes. Plenty of people have told me that. It isn't that I look like Woody Allen. I don't. In fact, people have often told me that I look a lot like the notoriously handsome Irish actor Colin Farrell. So much so, in fact, that I apparently make a lot of the same facial expressions as Colin Farrell. Could be we're related. We come from the same gene pool, and there's only so much genetic material to go around. This is a facial expression I make a lot. Normally, it has to do with gas pains from eating too much roughage. Less often, but still enough to be worth mentioning, people have mentioned that I bear more than a passing resemblance to that other notoriously handsome actor of Irish descent, George Clooney. Depends if you catch me on my good side. Hooray for me. A few acting classes, a trip to Hollywood, and I should be all set. 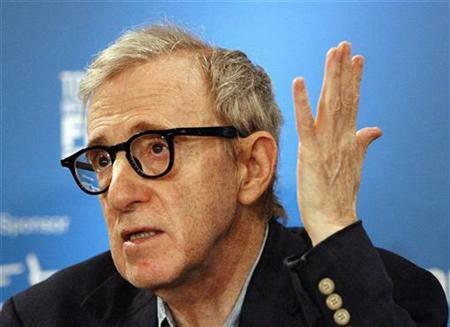 In the meantime, how am I like Woody Allen? Here's how: I often think that I'm dying. Or rather, I often think that I have a dangerous or potentially life-threatening disease. This can be funny. For a while. Then it's not funny. In my case, it stopped being funny a long time ago. It's much funnier when Woody Allen does it in the movies. I've believed, at one time or another, that I've had about a dozen different serious illnesses. They include diabetes, melanoma, colon cancer, prostate cancer, brain tumors, and heart disease, to name a few. In many cases, I've gone through more than one episode per disease. For example, I've been convinced I had diabetes on at least four separate occasions. I went to the doctor in each case, and got checked for diabetes, and in each case didn't have it, not even close. The odd thing is I've almost never actually been physically sick in my life. I've had strep throat twice. I can remember a pretty gnarly bronchitis I had back in my 20s, when I needed an antibiotic. And I had chicken pox when I was in high school. And that's about it. The amazing thing is I get the symptoms, right up until they tell me I don't have the disease. Then I go home, some time passes, and I get the symptoms of something else. And I get the fear, of course. And in my quieter moments, I grow reflective, and I sit on the patio and watch the sky, and the water, and I reflect about God and about what a beautiful life it's been.